SCENIC COUNTRY LIVING just 1/4 mile down gravel road! 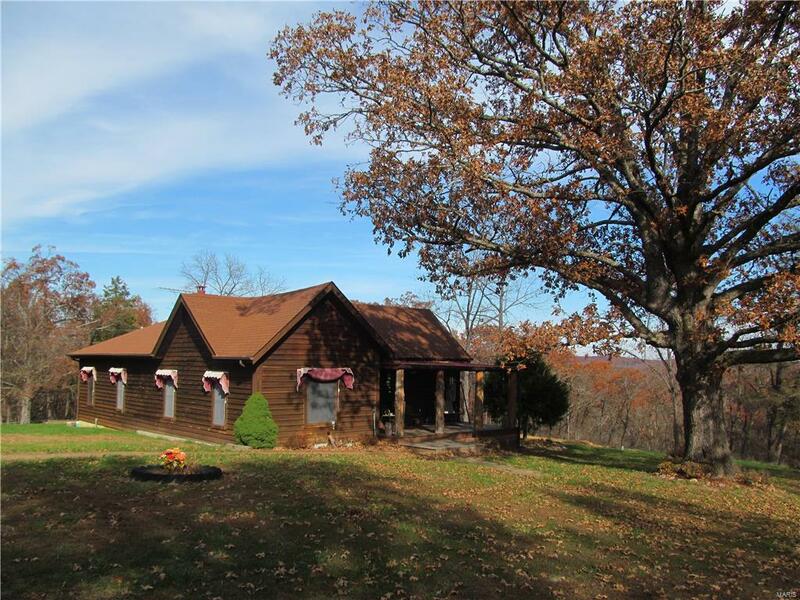 Cedar-Sided 3 BDRM / 2 BATH home with covered porch and wrap-around deck, 40x70 shop and matching 12x24 garage/man-cave, and beautiful scenery all around! Home has been very well maintained and features a beautiful rock fireplace, a large eat-in kitchen, main-floor laundry, and a partial basement with back-up generator hook-ups, updated heat/ac, and a newer roof. 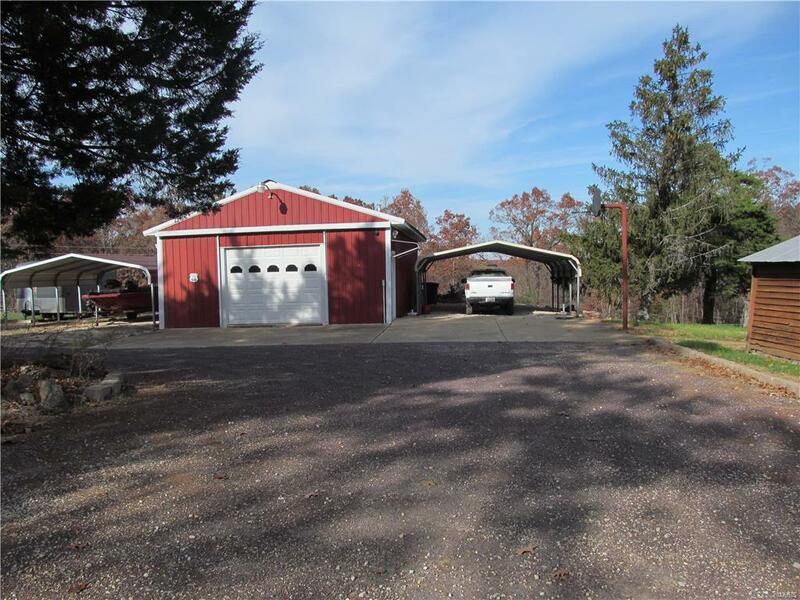 Garage/man-cave is steel-sided and insulated, has it's own electric box, a small electric heater mounted to ceiling, window A/C unit, and outside wood furnace. 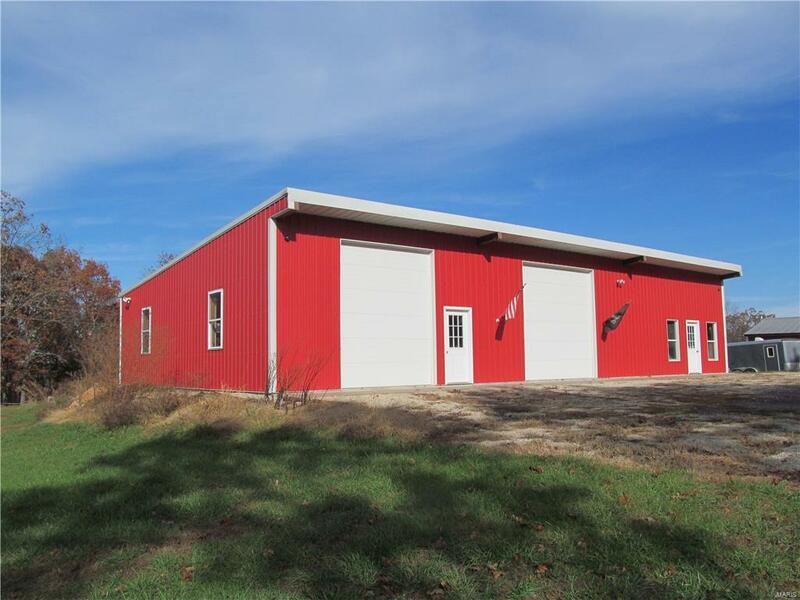 Large shop is an insulated steel building with two over-sized garage doors, a partial bathroom, two 200 amp electrical boxes, it's own electric furnace, enough lighting and electric to suit most any need! This home is set-up for easy living, working and/or outdoor entertaining! 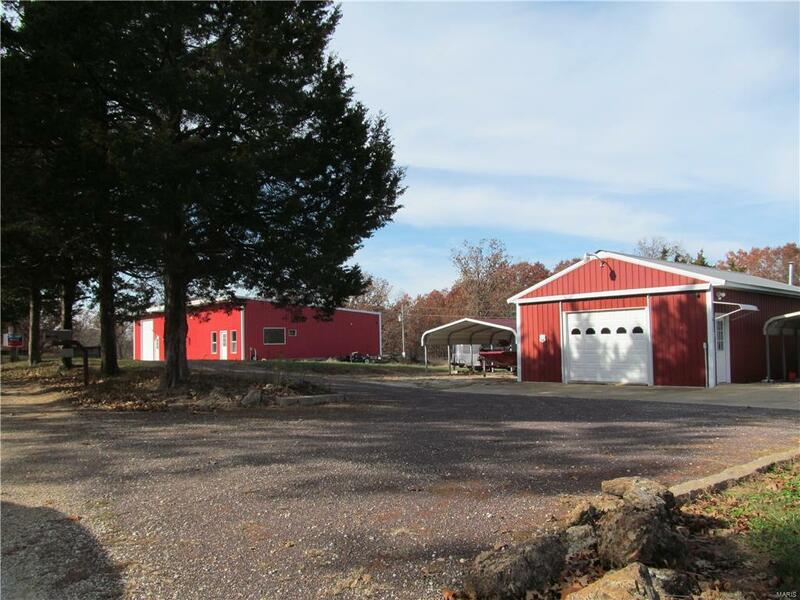 Listing includes a lot at "The Bluffs" (just down the road) for easy Meramec river access. SCHEDULE AN APPOINTMENT TO SEE THIS HOME TODAY! !